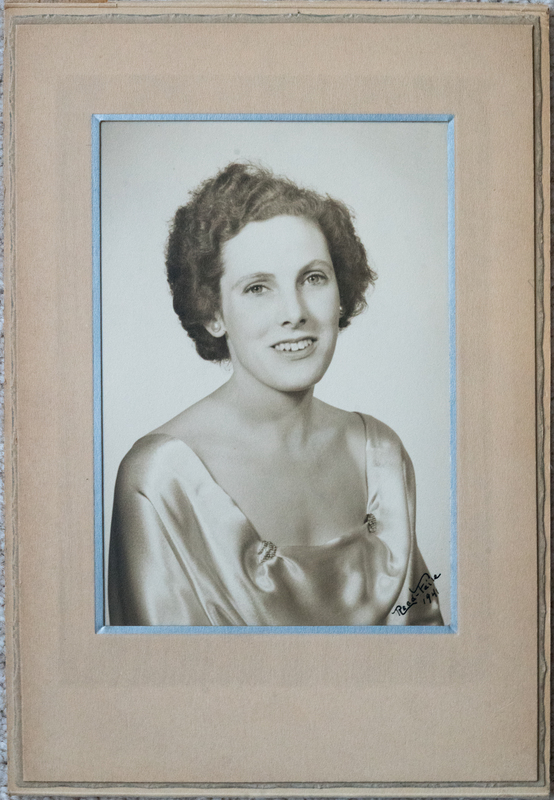 Elsie (Blumer) McMillan lived at Los Alamos during the Manhattan Project. 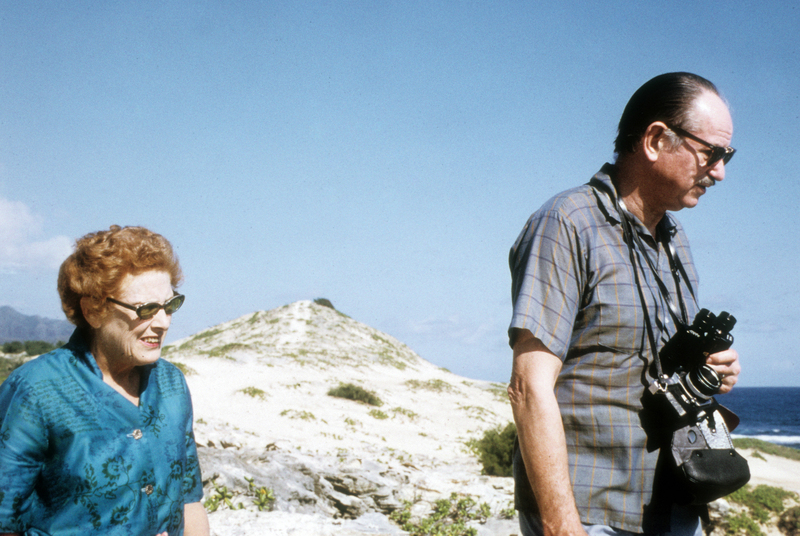 Her husband, Edwin McMillan, was a physicist who worked on implosion at Los Alamos. He would go on to win the 1951 Nobel Prize in Chemistry. 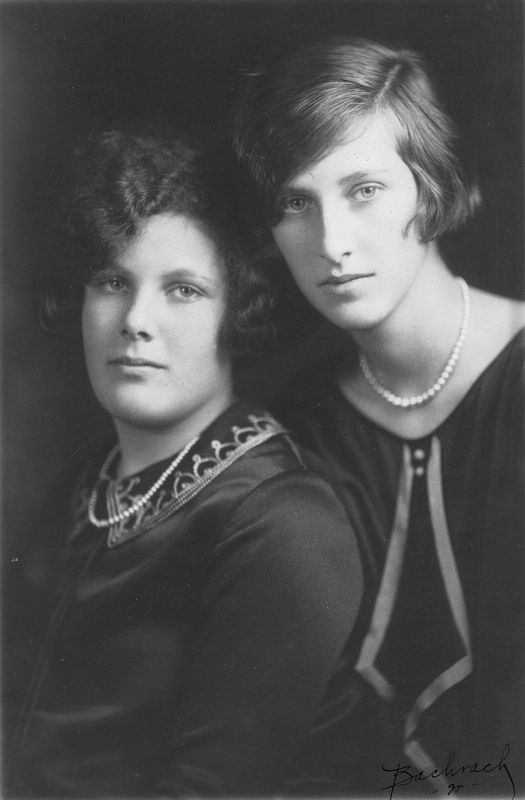 Elsie's sister Molly Blumer was married to Nobel Prize winner Ernest Lawrence. 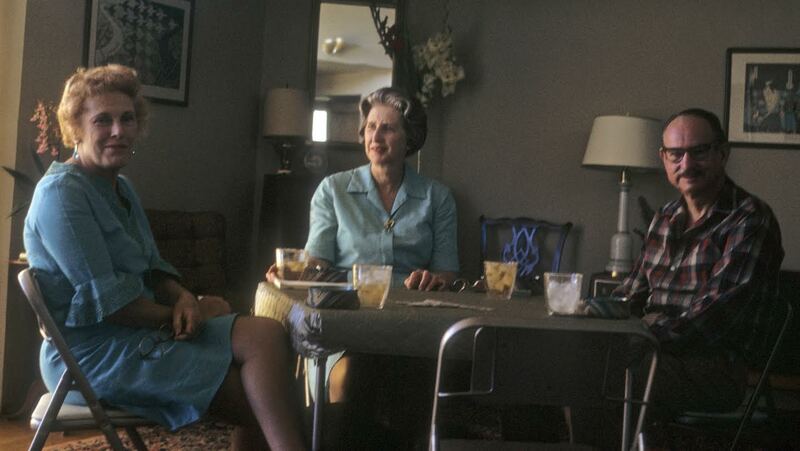 Elsie and Edwin lived in Master Cottage #1 on Bathtub Row from 1943 until August 1945. 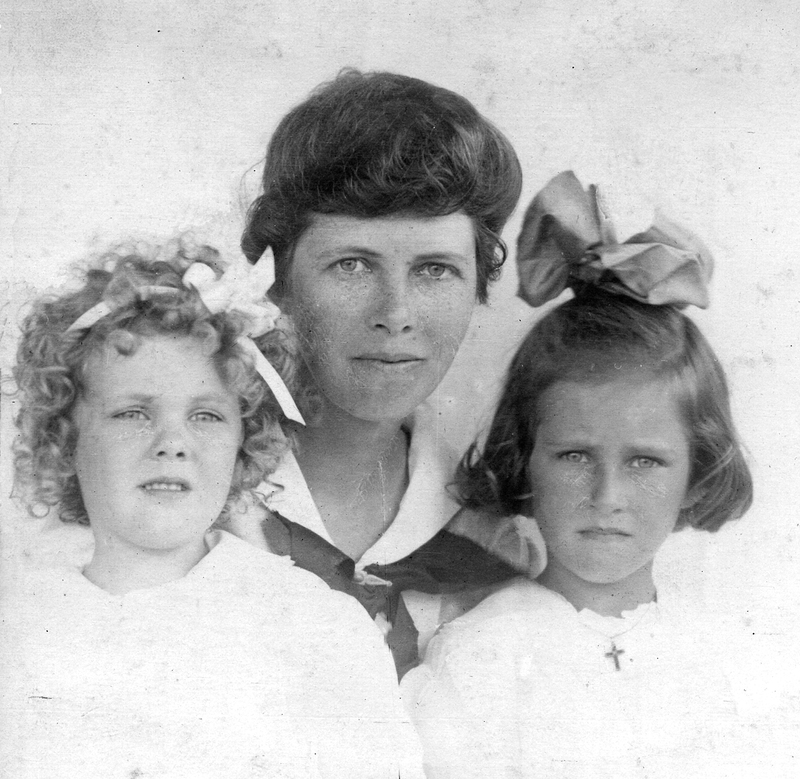 When they arrived at Los Alamos, their daughter Ann was just a few months old. 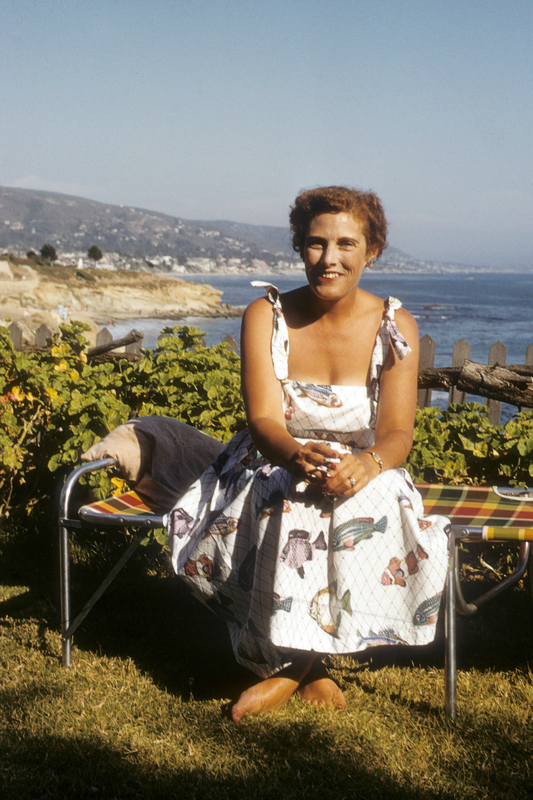 Their older son, Dave, was born at Los Alamos in 1945. 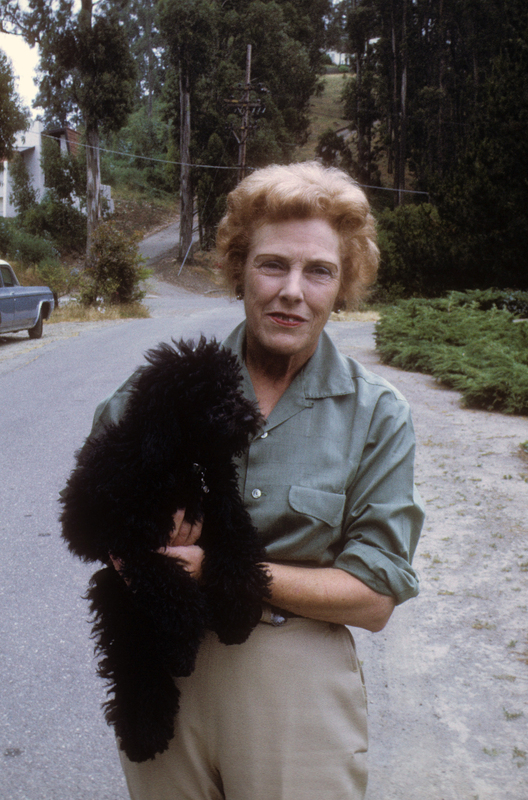 Elsie wrote and published her memoirs, "The Atom and Eve," in 1995. Profile and gallery photos courtesy of Ann Chaikin and Stephen McMillan. 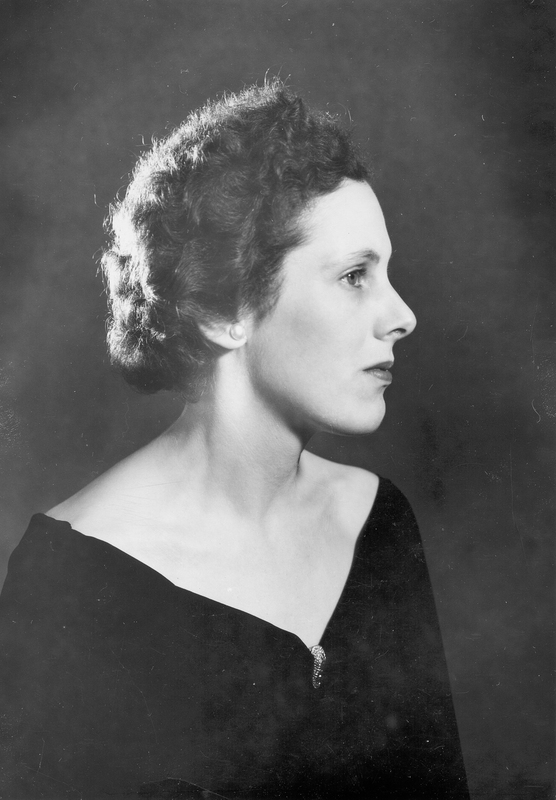 Elsie McMillan. Photo courtesy of Ann Chaikin. 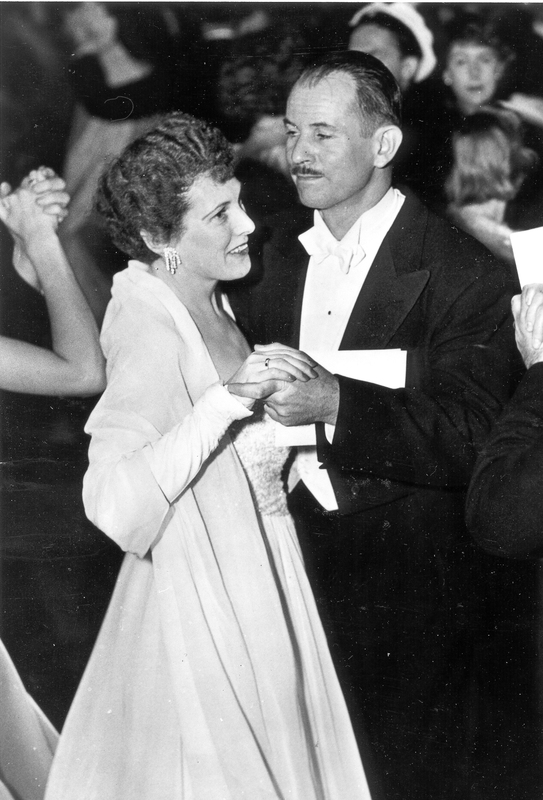 Elsie and Edwin McMillan. Photo courtesy of Ann Chaikin. 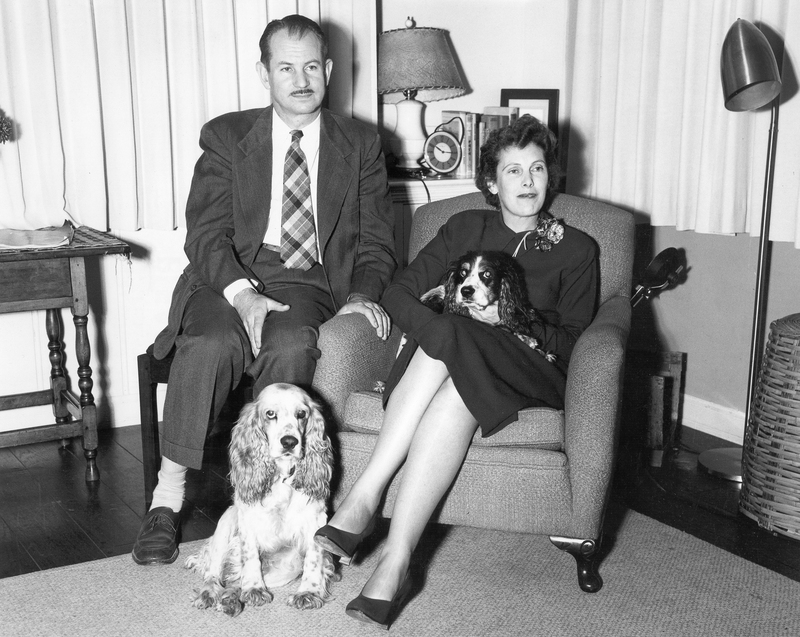 Edwin and Elsie McMillan and their dogs, 1951. Photo courtesy of Ann Chaikin. 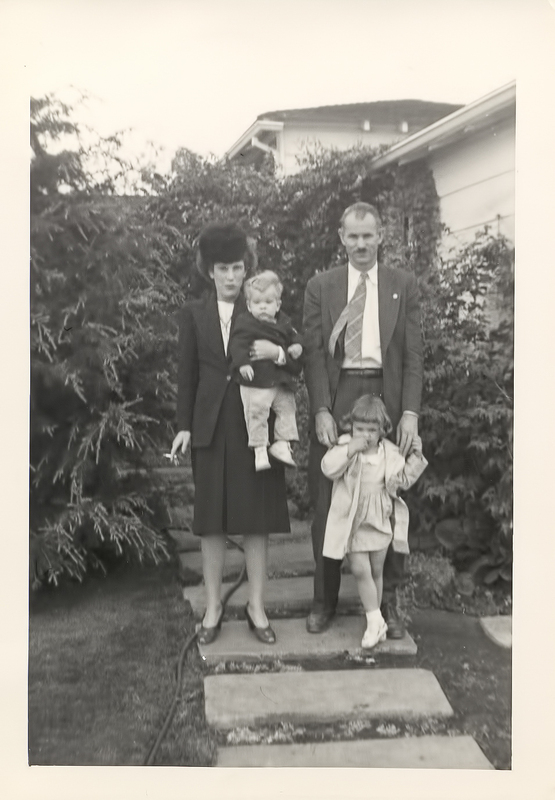 Elsie, Edwin, Ann, and Dave McMillan in California, 1946. Photo courtesy of Ann Chaikin. 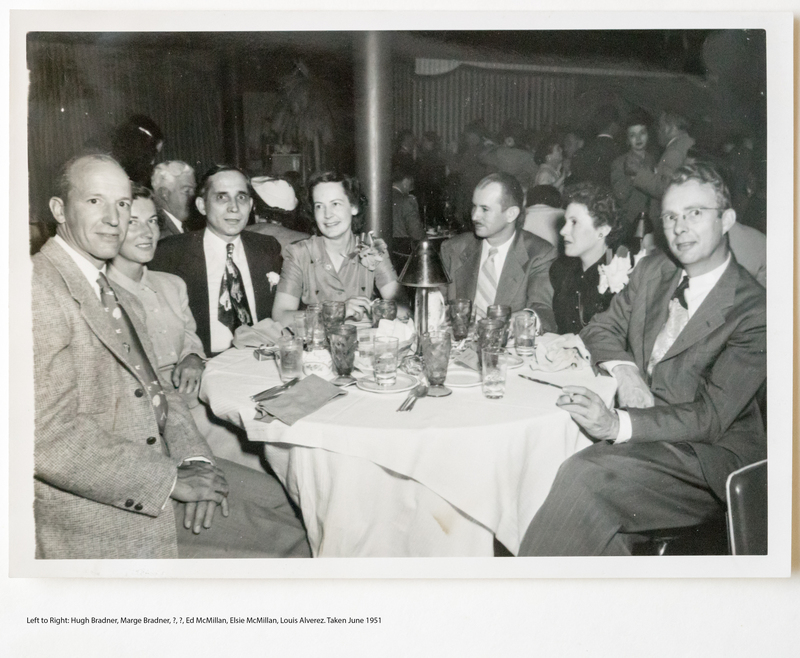 L to R: Hugh Bradner, Marge Bradner, ?, ?, Edwin McMillan, Elsie McMillan, Luis Alvarez, 1951. Photo courtesy of Ann Chaikin. 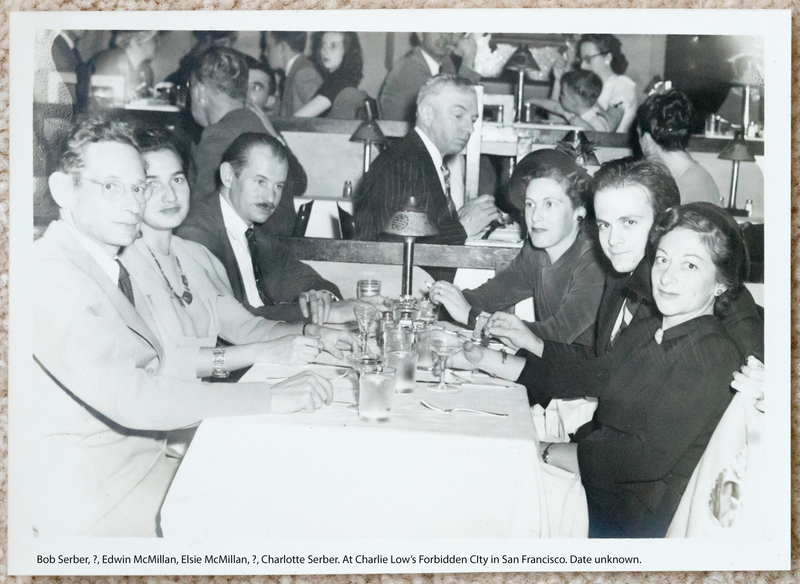 L to R: Robert Serber, ?, Edwin McMillan, Elsie McMillan, Charlotte Serber, ?, ?. At Charlie Low's Forbidden City in San Francisco. Photo courtesy of Ann Chaikin.